Pharmacy Casework Solutions | Donnegan Systems Inc.
A high performance system with the appearance of fine furnishing. Design a functional space around your workflow and needs. Toe kicks allow you to work comfortably at the counter. Soft close drawers reduce noise levels in the pharmacy. 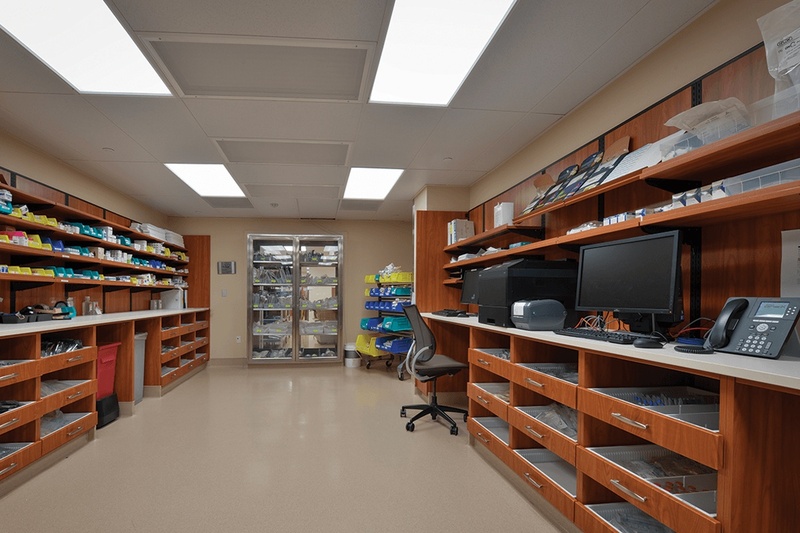 Black phenolic resin worksurfaces are chemical resistant and help keep stray pills in sight. Sinks and other amenities can be integrated into the solution. Drawers can be seamlessly vinyl-wrapped to eliminate crevices where bacteria can grow. 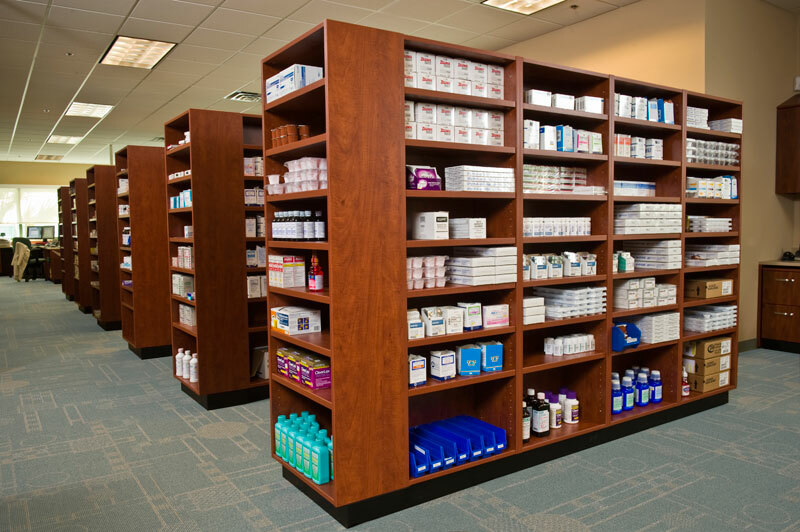 Our pharmacy casework can be moved and re-purposed to easily accommodate new technology or increased inventory needs. We offer many specialty items designed specifically for use in the pharmacy. 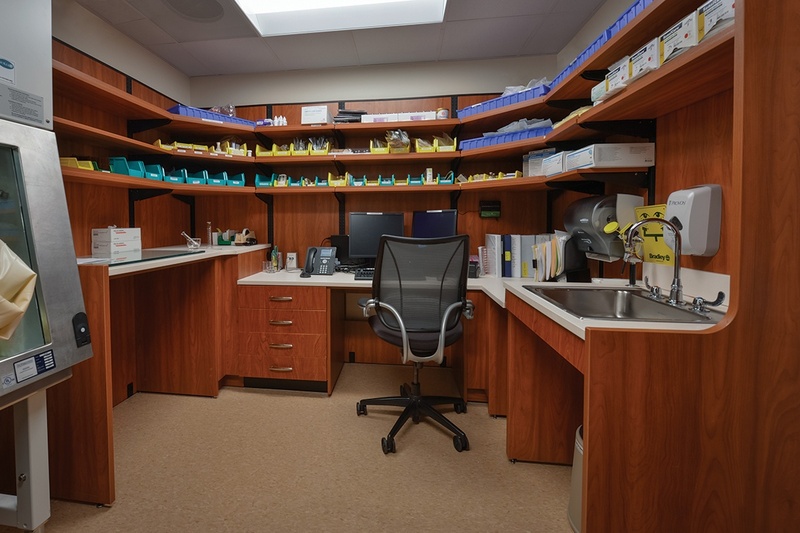 We have an in-unit dose fill station, flat drawers in base cabinets, gravity feed drawers that are refilled upon opening, and slanted wall shelves that put hundreds of medications and supplies at your fingertips. 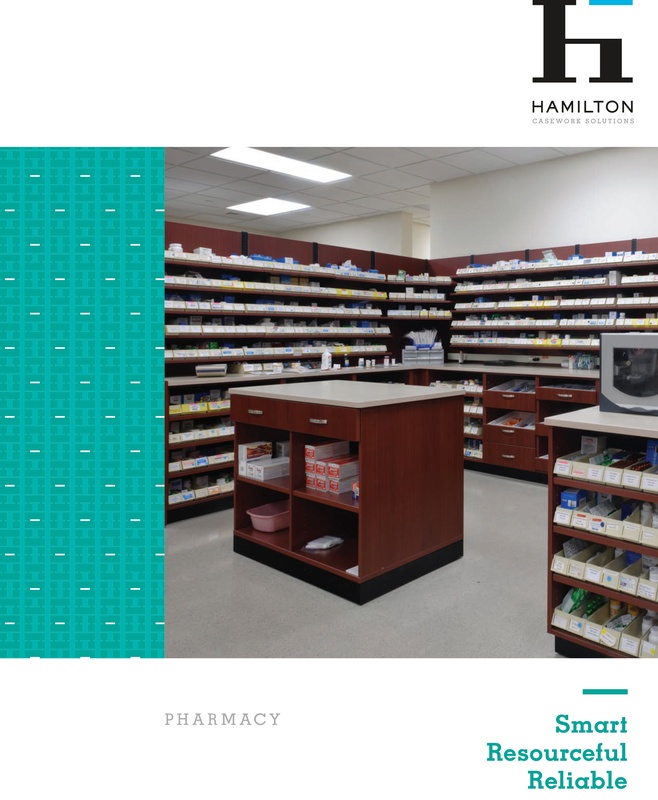 Custom end panels and shelves help create an organized and aesthetically pleasing look to this pharmacy area. We offer free space assessments and design consultation. We make sure we know exactly what you’re storing. what you’re planning on storing in the future, and how you want the system to look. This area operates as a separate nook with open and locked personal storage where staff pharmacists can place orders. We provide components for every function in the pharmacy to help you improve work flow. See why Casework is a natural fit for the pharmacy environment.